As with any island nation of 2.9 Million square miles, imports are a major factor in providing the local population with the good need to keep up with the Joneses in the rest of the world. Such is the case for Australia, including the wide range of equipment utilized by its defense forces. This has been a bone of contention for many of its residents, while others claim the Ministry of Defence let's the best man win and only wants the highest quality of equipment for its military no matter where it is sourced. This may be the case, but there is room for some to say they are not so transparent in their dealings and awarding contracts. Our friends over at Roggenwolf feel this is the case and have written a response to the latest reveal of the Australian Multi-Camouflage Uniform, which we recently discussed earlier in the week. Roggenwolf is an Australian camouflage design company, which we have wrote about extensively in the past. They placed runner up in the most recent New Zealand Camouflage Effort with their Ryewolf R-2 pattern, behind HyperStealth whose pattern went on to be the NZDF Multi Terrain Pattern that now dons their uniforms. Roggenwolf also made a submission in the U.S. Camouflage Improvement Effort, but were not selected as finalists. We have seen how that played out for those that did. The main argument Roggenwolf has for the latest Aussie procurement is the lack of opportunity to present the camouflage designs that they developed for homegrown concealment. We have provided their full statement below. The irony is that this is not the tune Mr Robert’s party was singing back in 2011, when they were in opposition. His boss, Senator the Hon. David Johnston, who was Shadow Minister for Defence at that time, seemed terribly concerned that Defence had failed to consult with Australian industry before taking the decision to implement AMCU. At any rate, that’s the impression I received from the Official Committee Hansard of the Senate Foreign Affairs, Defence and Trade Legislation Committee session convened on 30 May 2011. Senator JOHNSTON: … Was Australian industry consulted on its capacity to provide multicam? Brig. Phelps: We had some general discussions with Australian industry. Senator JOHNSTON: You set up a task force, didn't you? Brig. Phelps: I do not recall that I have set up a task force. I have my own staff who are doing it. Senator JOHNSTON: I think you set up a task force. 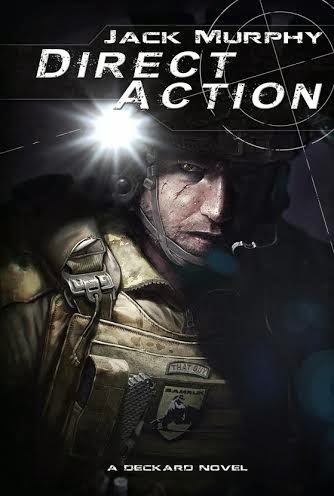 'Australian task force was set up to design an Australian version.' Surely you remember this. A group of manufacturers got together and set up a task force. They, in fact, met how many times? Do you know? Brig. Phelps: I have no idea what you are talking about. Senator JOHNSTON: They met once and then, unbeknownst to the task force, they were told about the $7 million expenditure. Are you aware of comments by Minister Clare, who was shown the capability to manufacture this sort of multicam? Brig. Phelps: No. Shown by whom? Senator JOHNSTON: Shown by manufacturers in Australia. Brig. Phelps: I am not aware. I have accompanied Minister Clare on one visit to an Australian manufacturer of DPCU material. They have demonstrated their capacity to manufacture materials of varying types and complexities. Senator JOHNSTON: So did we consult them about this contract and what they could do? Brig. Phelps: My understanding is that my staff consulted with them generally on the capacity of Australian industry to manufacture a seven-base-colour combat material. Senator JOHNSTON: What technical advice and independent expertise do you have to support this $7 million piece of expenditure. Brig. Phelps: I will have to take that on notice. Senator JOHNSTON: Why do you need to take that on notice? In other words, I want an expert opinion verifying that the seven million bucks is legitimate. Have you got one? Brig. Phelps: I do not have independent advice. I have the advice that we have looked into. We have been trialling the Crye cam uniform in theatre. All the feedback to date is that the cut and style of that uniform is superior to the DPCU. Please note that Brigadier Phelps referred only to ‘the cut and style of that uniform’. He said nothing about the camouflage effect. I have been advised, by servicemen who were deployed to Afghanistan, that while MultiCam was streets ahead of Desert Auscam, it was only marginally more effective than standard Auscam. Brig. Phelps: We have done that on the basis of feedback that we have received from soldiers in operations. Senator JOHNSTON: I know about that. Brig. Phelps: We wish to use that as the baseline upon which we move forward fjrom here. Senator JOHNSTON: So when you wish to use something you just go get it. Brig. Phelps: When it is operationally urgent, as in this case, yes, we did. As I have said elsewhere, Defence tarried for eight or nine years before the situation became ‘operationally urgent’. Circumstances like this often remind of something I heard from a former boss, back in the 20th Century: If it’s urgent, it can’t have been important. He meant that important matters are taken care of long before they become ‘urgent’ — an opinion with which I happen to agree. Senator JOHNSTON: So this was operationally urgent and there was no consultation with Australian industry as to what they could provide to match it? Defence appreciates Australian industry's support of the Australian Defence Force. 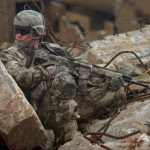 New and innovative products are always sought and Diggerworks continues to search for the best technology available for deployed forces. 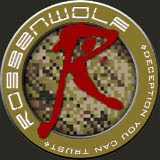 Your continued interest in defence matters is appreciated and I encourage Roggenwolf to continue to pursue innovation in the design and development of camouflage solutions. Maybe I should have been thankful: after all, I hadn't seen so much snow since I was a child and had kind of missed it. But after nine years’ R&D and a personal investment of more than aud75,000, I really don't appreciate being patronised as if I were just another cammo wannabe with a cracked copy of Photoshop Elements and a knowledge of concealment gleaned from watching G.I. Joe. Under the circumstances, the Federal Government’s ‘appreciation’ and ‘encouragement’ mean about as much to me as a festering ball of dog snot. During the past nine years, I have had the pleasure to work with some genuine professionals — although they have been few and far between. I encountered many more bastards, bullies, con men and parasites in that same period. I’ll leave it to your readers to decide into which group I would put the Australian Defence Organisation. 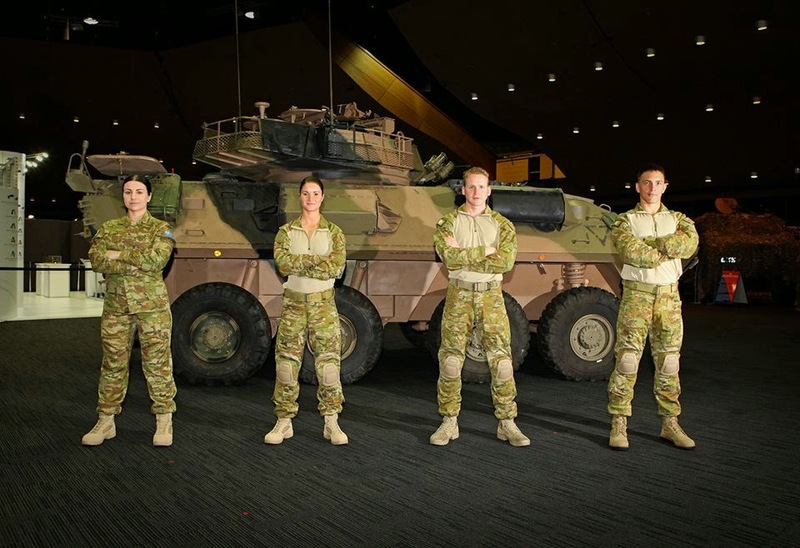 ‘Assistant Minister for Defence – The Hon Stuart Robert MP – Army launches next generation uniform’, in Defence Ministers, 22 September 2014, viewed on 25 September 2014 (http://www.minister.defence.gov.au/2014/09/22/assistant-minister-for-defence-the-hon-stuart-robert-mp-army-launches-next-generation-uniform/). Q.v. ‘Army launches next generation uniform’, in Army, 22 September 2014, viewed on 25 September 2014 (http://www.army.gov.au/Our-work/News-and-media/Army-launches-next-generation-uniform). The initial figure was actually aud7.8 million, not including the costs of subsequent development. Bloggers who have recently stated the total cost was only aud4.7 million want to check their facts. Official Committee Hansard, op. cit, pp. 131–132. Official Committee Hansard, op. cit, p. 132. The Hon Stuart Robert MP, letter, 1 July 2014.